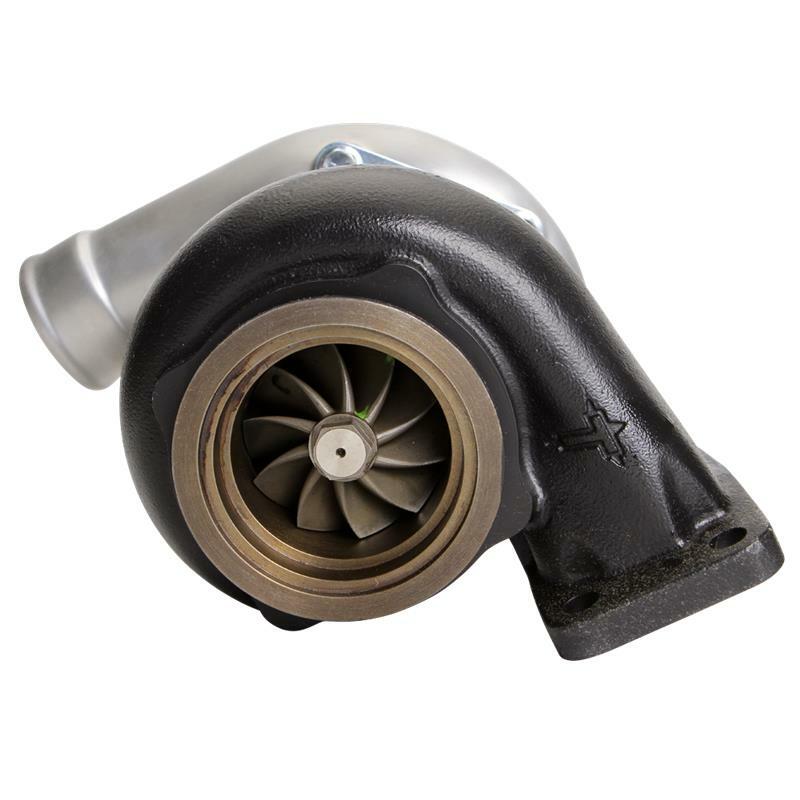 The GT-K series, Turbonetics’ premium turbochargers covering the 325 to 1050 horsepower range, is expanding its lineup with HPC forged billet aluminum compressor wheels in the newly developed GT-K 600, 700, 750, 850, and 1050 turbochargers. A further development over the HP compressor wheels, the HPC compressor wheels provide even greater efficiency and airflow. To withstand the extreme pressures, HPC compressor wheels are machined from forged blanks instead of standard bar stock. Wheels machined from forged blanks have stronger blades and wheel hubs, allowing maximum airflow while minimizing rotating mass. In addition to Turbonetics HPC forged billet compressor wheels, the newly developed GT-K 600, 700, 750, 850, and 1050 turbochargers feature brushed satin finish on the compressor housing and black ceramic coated turbine housing for the distinguished look. The brushed satin finish is an extremely durable finish that is scratch and chip resistant. The black ceramic coating on the turbine housing further differentiates the Billet GT-K series from the lineup. As with previous GT-K turbochargers, the patented Ceramic Ball Bearing center housing rotating assembly (CHRA) is standard on all GT-K turbochargers. Turbonetics Ceramic Ball Bearing design offers 50 times greater thrust capacity and is more resilient under high temperature shut-downs than a conventional journal bearing design. The patented “angular-contact” design offers extreme strength because it is used as the thrust-loading surface. This exclusive technology allows ultrafast transient response and extremely quick spooling of the turbocharger. 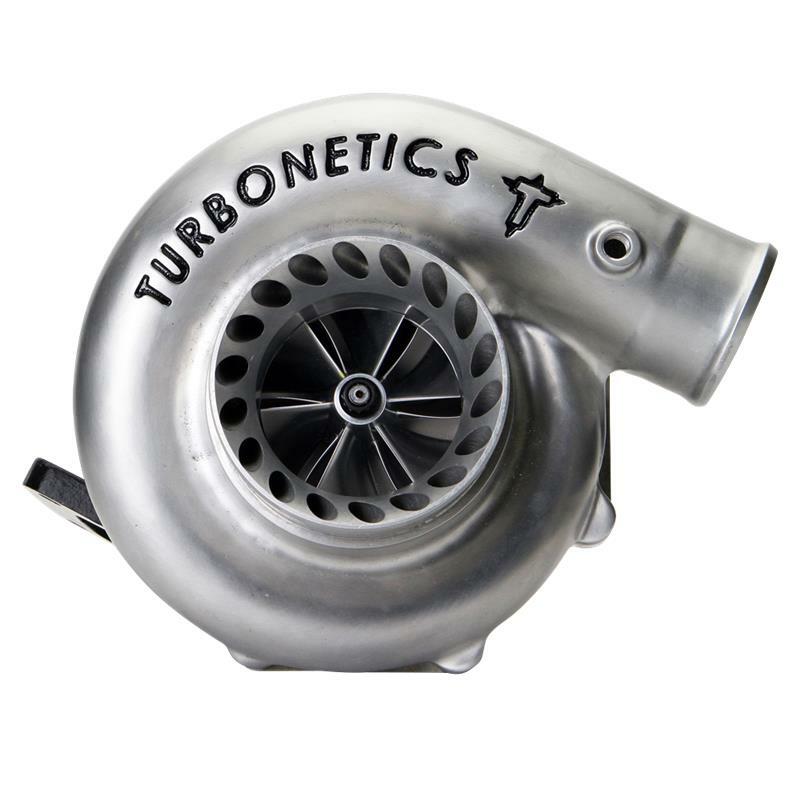 With Turbonetics GT-K turbochargers, you will build boost faster at the line and reach targeted boost pressure sooner in the RPM band.